…That’s right, I said it. In 2018, business live and die according to their online reviews. Prior to the advent of the internet, if you attempted to return a sweater you purchased at your local store within their allowable time frame and they refused to honor the refund policy, you really had no recourse and few options. Let’s be honest though, you weren’t in any position to harm that establishment and you had no leverage. Essentially, you were screwed (pardon the uncouth expression, but I couldn’t think of a more definitive one). Not so, in today’s digital age. Nowadays, if there is even a perceived injustice on the part of a consumer, all that person needs to do, is go online and excoriate the establishment with a nasty review on any number of powerful and heavily trafficked reviews sites relevant to their business, and that public flogging will cause irreparable harm and financial damage. This reality should scare the hell out of any business establishment with an online footprint and visibility. The bottom line is, if your online reputation stinks, you’re in a whole lot of hot water. Nowhere is this more apparent and critical than in the healthcare sector, where a nasty online review for a Skilled Nursing Facility, isn’t quite the same as a nasty online review for a nail salon. What? You don’t see how there might be a difference?! IF YOU CARE ABOUT YOUR LOVED ONES AND DON’T WISH TO SEE THEM SUFFER AND DIE, DO NOT SEND THEM TO (FILL IN THE BLANK). Now do you understand the difference in the optics of the two reviews above? I too, used to think online reviews didn’t matter. Then I transitioned from selling diamonds and jewelry, to providing healthcare to elderly, infirm and compromised patients in a skilled nursing setting. I was taught by a mentor par excellence what it means to really care for people and to really care about (and take pride in) one’s reputation. 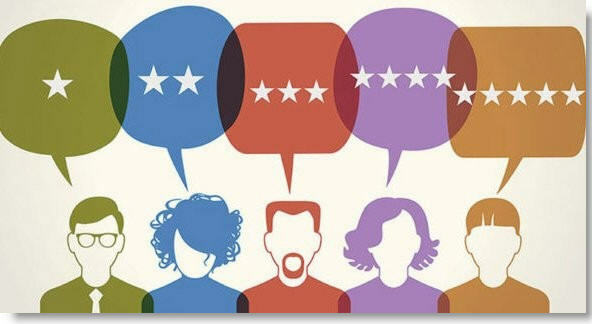 The first time our facility got blitzed with a nasty online review under my watch, it hurt me to the core of my being. It felt like a nasty kick in the gullet and I never saw it coming. The review was completely undeserved and yet, it stung like hell. I recall feeling overwhelmed and powerless. Then I decided to fight back by building love online and generating legitimate positive consumer reviews for the company I loved.